A lot has come out starting from the end of June and past mid July, when the annual summer Pokemon movie was released in movie theaters, but before I dive into the first of several posts, a quick announcement. Not only does support through Patreon help keep the site running, but you get neat thank you gifts in return, including sneaky peeks of art I’m working on for t-shirt & coffee cup designs, charms, and stickers. On top of that, every month I make up a new postcard design and mail them out, including a small message from me to you! Want to show your support but don’t want to commit to Patreon? I’ve also started selling some of my designs on print-on-demand websites! 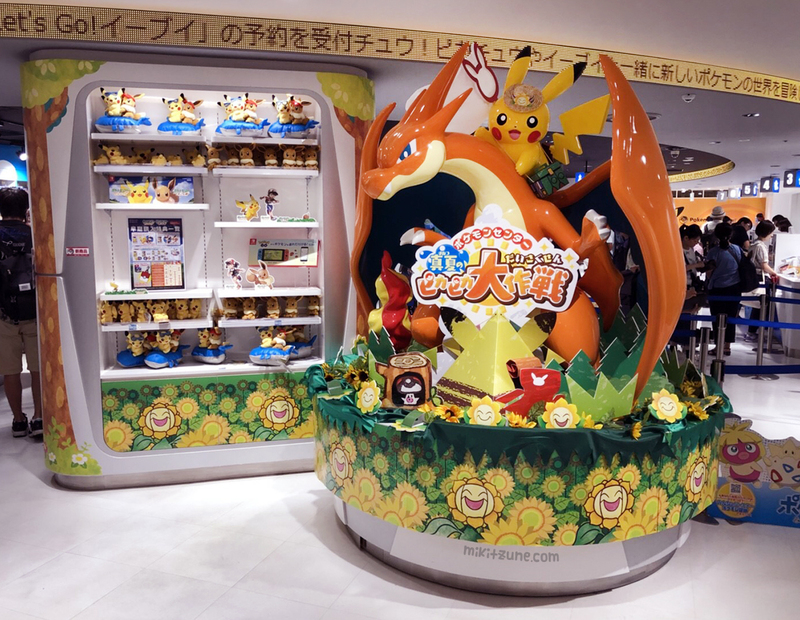 I have a bunch of photos from the Pokemon Center (thanks to the lovely Jen from Japanstuffs.com) and will be posting catch-up entries over the next few weeks. On June 30th, the four Pikachu cosplay plush from the very tiny Poke-Maniac promotion were released. In order from left to right, Pikachu is dressed as: The Poke-Maniac (cosplaying as a Pokemon), Charizard, Hydreigon, and Tyranitar. 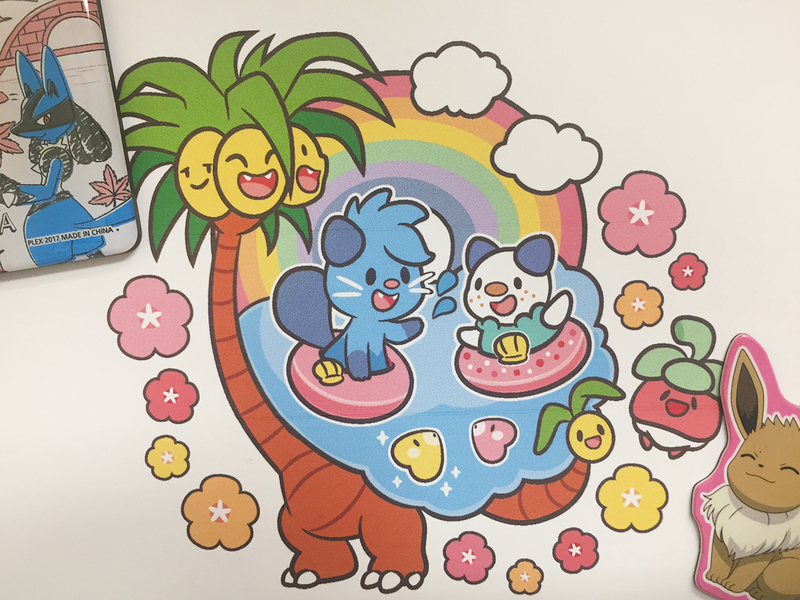 On July 7th, the Pokemon Tropical Sweets promotion was released in Pokemon Centers, alongside the start of the summer exclusive menu items at the Pokemon Cafe in Nihonbashi. Of special note from this release are the mascot plush designed to look like frosted cookies: Pikachu, Eevee, Alolan Vulpix, and Snorlax. And special Ditto mascot cookie is currently available exclusively through the Pokemon Cafe. On July 13th, three Pokemon Center exclusive plush were released: Chansey, Sudowoodo, and a huge Snorlax. And the Pokemon Summer Time promotion. Along with plenty of cute, summer themed items, the highlights included these four plush: Boy Pikachu, Girl Pikachu, Snorlax, and Rowlet. 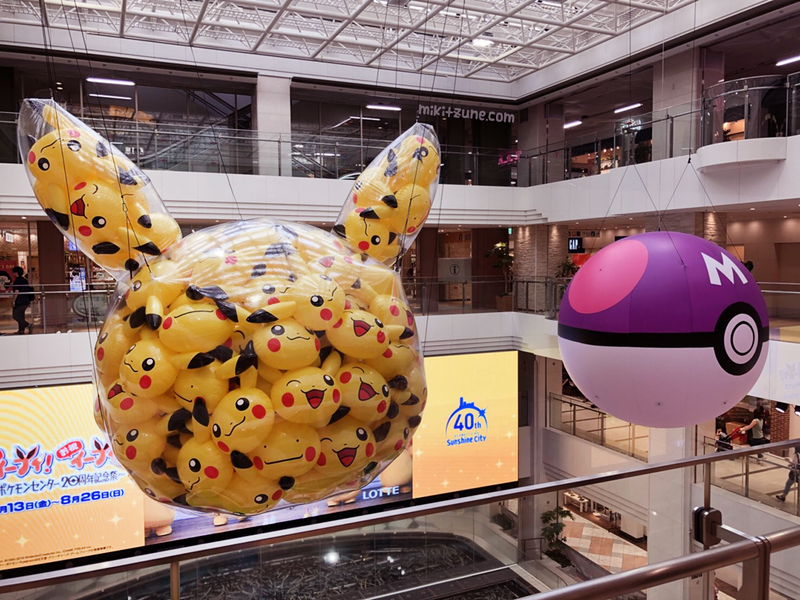 On the following day (July 14th), 3 Coins, a popular discount store, started their Pokemon Center collaboration. 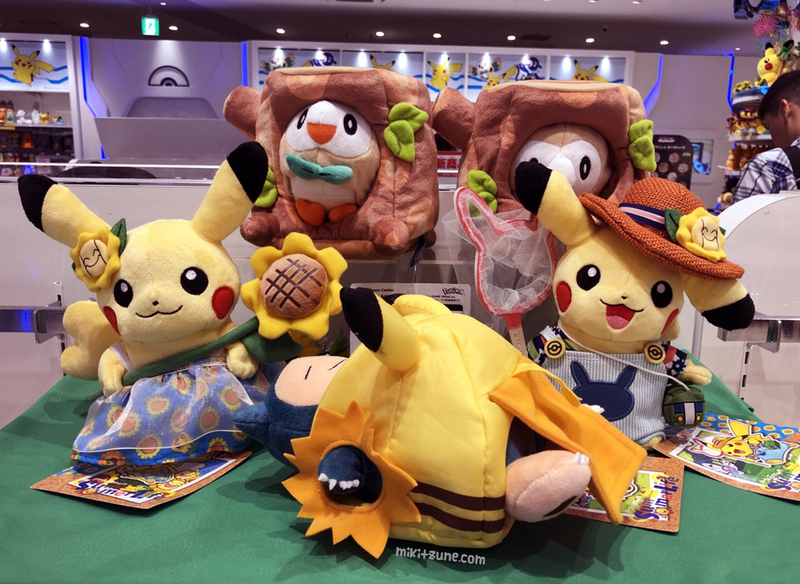 Fast forwarding a bit, these cute mascot plush (Pikachu, Eevee, and Mimikyu) were released without much fanfare on July 28th. That wraps up this post, but we still have plenty more to cover, so stay tuned! Stay up to date with Pokemon news by following me!